The past few weeks in the Alderleaf Wilderness Certification Program has been a whorl-wind of different adventures and activities. 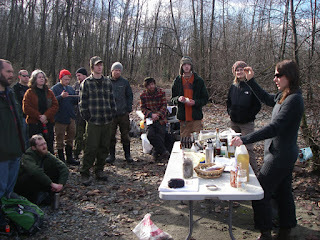 Here are some photographic highlights from the different class days. The class days included: bow making and arrow making, medicinal tinctures and salves, primitive cooking and wildlife field science. 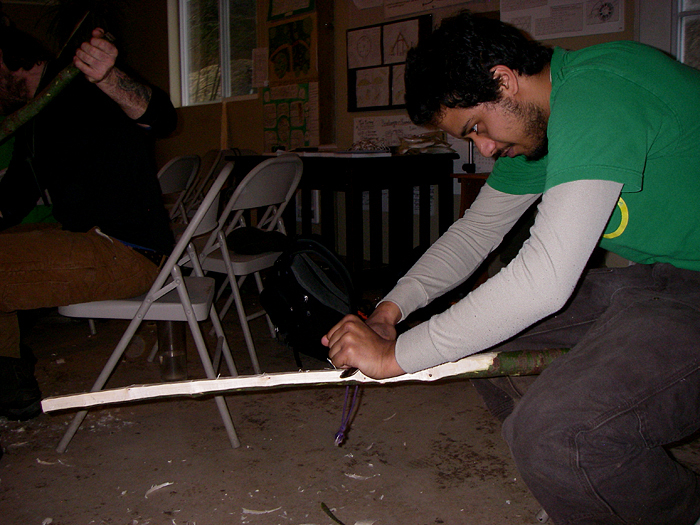 Here, students Yusef and Dan carve away at vine maple staves as the make their first primitive bows. 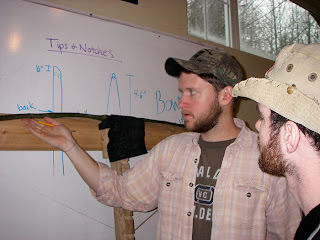 Alderleaf instructor, Connor, talks to Andrew about the practice of properly tillering a bow. 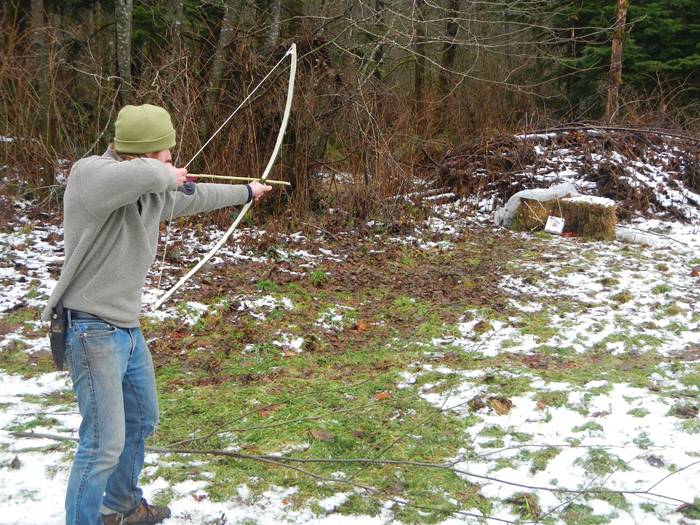 Finally, students Dan and Caitlin fire their completed bows and hand-made arrows at a wooden target. 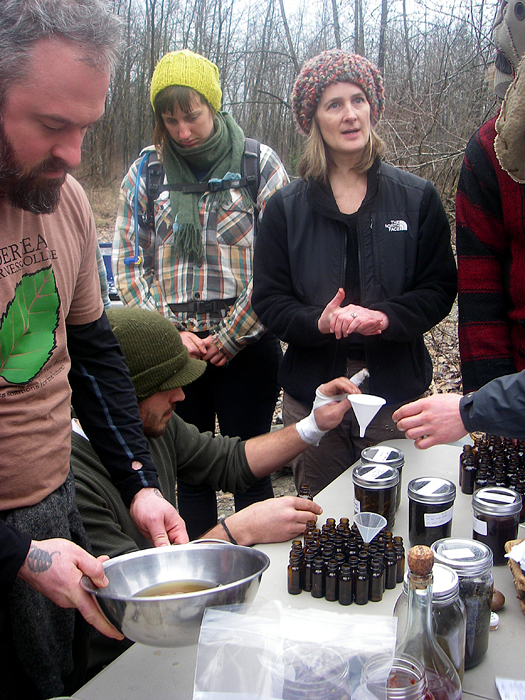 Here instructors Heather (above) and Michelle (below) teach students about how to process raw materials in the usable and effective herbal medicines. 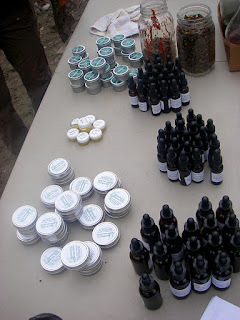 Both tinctures and salves were made that day. Students melt down raw bees wax to be utilized for the cottonwood salves. Here, the salves are being put through various aspects of completion. 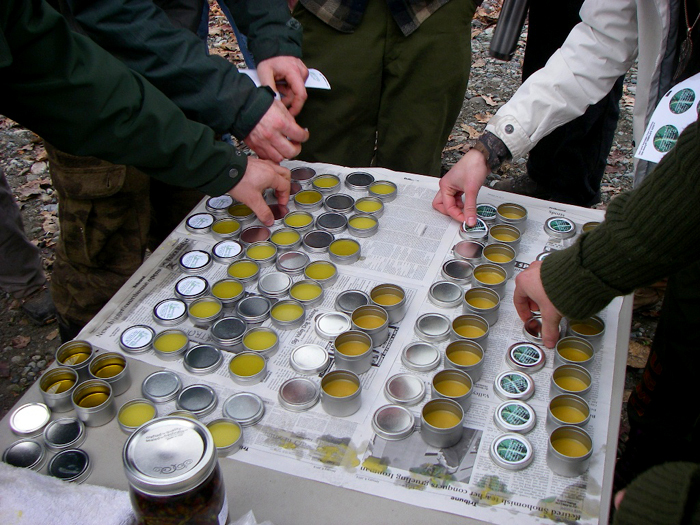 You tell the already cooled and solidified salves from the still warm, more fluid ones by the color. Cooled ones are a brighter yellow. Hard work done, herbal medicines made. Here are the tinctures and salves ready to be used. May they help us stay healthy and infection free! On another class day, students like Scott here learned to make primitive fishing spears. 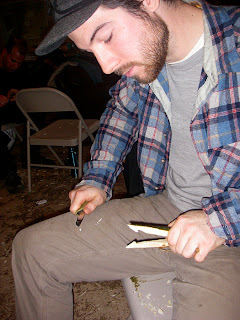 Scott is putting the finishing touches on his barbs. 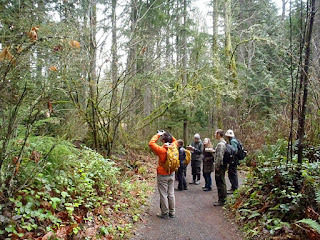 During our day on Tracking in Wildlife Science, students headed out into the field to learn how to utilize the field skills of tracking and nature observation to conduct scientific surveys and collect data. Students found a number of species, including this large northwestern salamander (Ambystoma gracile). 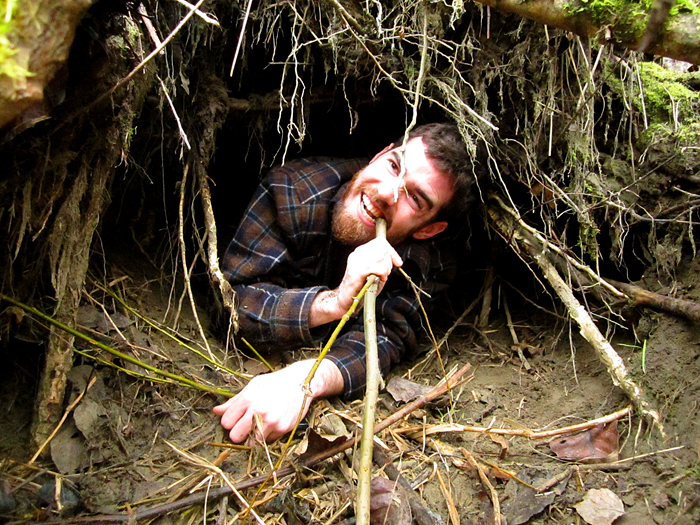 Here, Andrew shows us how roomy it can be inside the abandoned bank-burrow of a beaver. 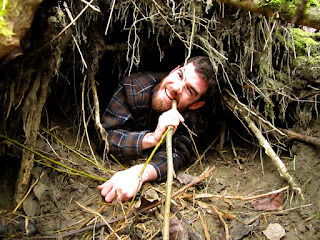 He seems to be right at home. On a day on Primitive Cooking, students learned to use several methods including: smoking, cooking on coals, using a steam pit and also cooking in a clay oven. 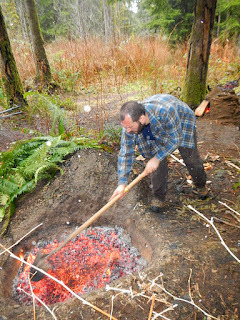 Above, student Kristian disperses the coals to evenly heat up the steam pit in preparation for underground cooking. 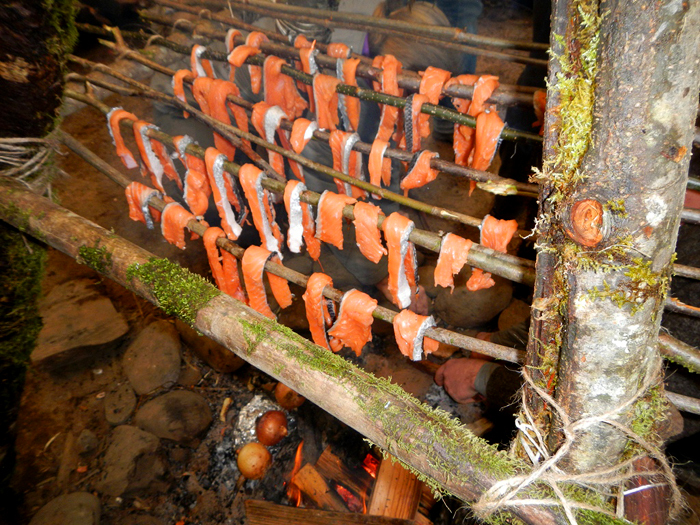 Salmon hangs over a small fire and slowly smokes to perfection. 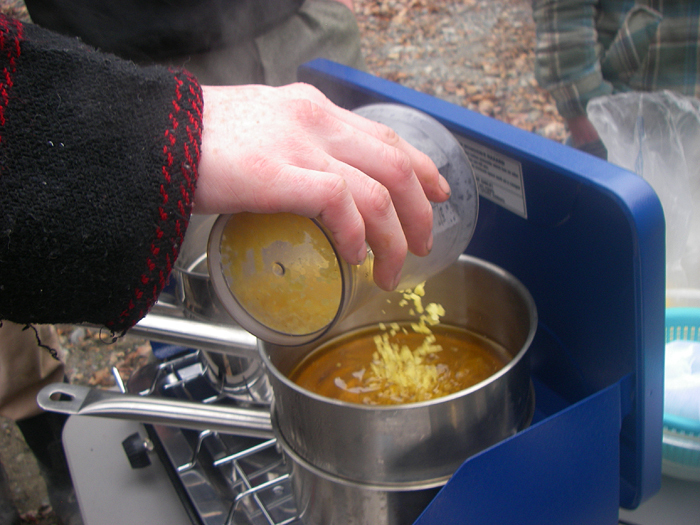 Below it onions and other edibles are roasting directly in the coals. 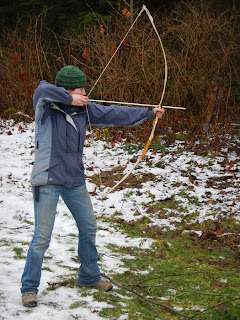 Hope you have enjoyed our highlights. 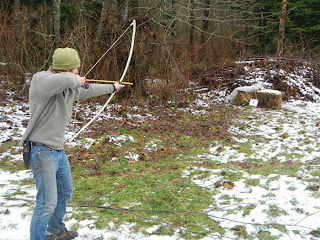 Watch for more from Alderleaf very soon! 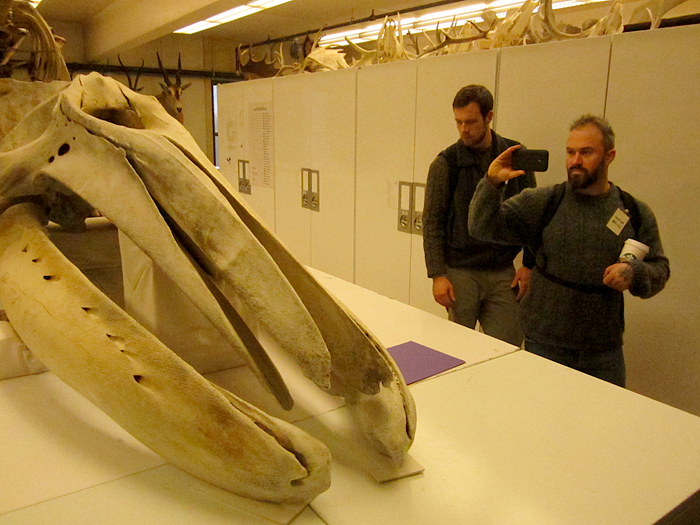 Here students Jeremy and Andrew view an immense gray whale skull that is on display. Most of the skulls we looked at were considerably smaller! 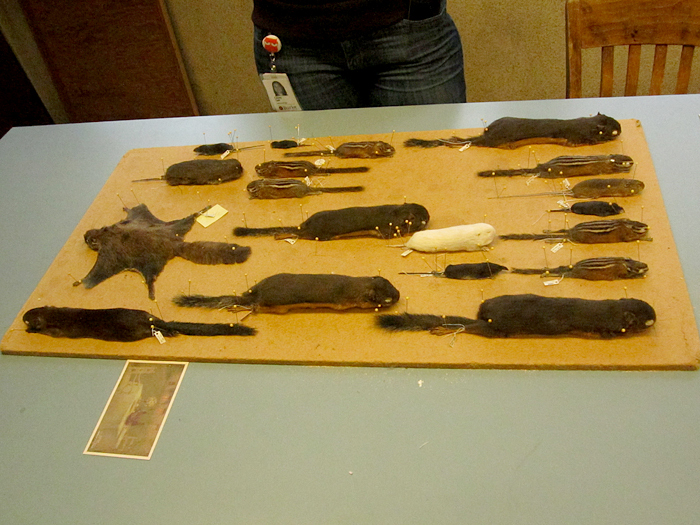 Here is a variety of hides from a variety of northwestern native rodents, including Douglas' squirrels, northern flying squirrel, several voles (including an albino specimen), some least chipmunks and a variety of small insectivores. 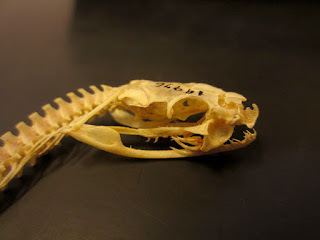 Here is a close up of a gopher snake skeleton that we got to view. Notice the large eye sockets, wide bones reenforcing the nose and the many, many ribs. The impressive skull of a northern Pacific rattlesnake. 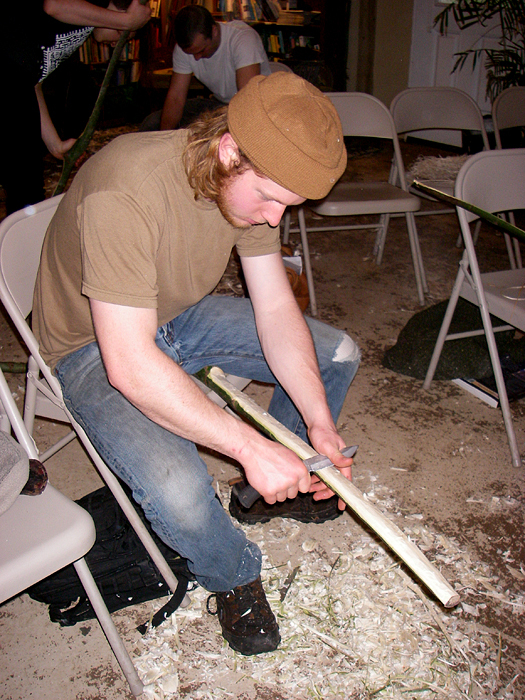 Notice the large, hinged fangs at the front of the mouth. They have a hollow chamber through which the venom is injected. 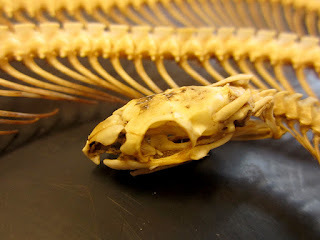 Compared to mammals, the skulls of snakes are very fragile and much more loosely arranged. We all left the museum feeling very grateful for the opportunity to have been there and for all of the knowledge we had gained.